I teach an undergrad business law course at UTEP's College of business. The focus of the course are the legal issues faced by startups, but I end up teaching a lot about starting a company as the business context is relevant to the legal issues. Most of my lectures comes from personal experience, but I quote and refer to several books. For any past or future students, here's the list of all the books I use in Business Law 4391. John Perry Barlow, one of the founders of the Electronic Frontier Foundation, shares a similar sentiment. “Predicting the present is not an entirely useless enterprise, since most people are very busy predicting the past.” As Barlow argues, exponential changes are hard to detect. In the early stages of development of a technology, change is slow. It’s not until the change hits the steep part of the curve that anyone notices, and at that point, it seems like a dramatic shift. I’ve pulled together a short list of approachable and influential books for people who might be unfamiliar with science-fiction. I feel these books do a great job of presenting a compelling future based on the technologies and ideas of today. These futures are compelling either because they offers a glimpse into a positive development, or because they warn us of the problems with our species. I’ve pulled plot synopsis from . "Young Andrew 'Ender' Wiggin, bred to be a genius, is drafted to Battle School where he trains to lead the century-long fight against the alien Buggers." 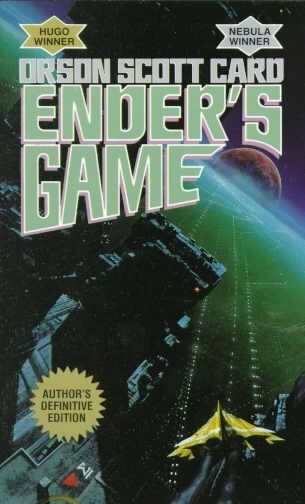 The future of Ender’s Game is cool at first glance, but as you examine it a little more deeply, it becomes scary. How cool would it be if all of humanity was working towards a single cause? How cool would it be if kids were born geniuses and trained to expertise in strategy by the time they were 10? How scary would that all be? "Gibson's groundbreaking debut novel follows Case, a burned-out computer whiz, who is asked to steal a security code that is locked in the most heavily guarded databank in the solar system. A seminal work in the genre that would come to be known as cyberpunk." Predating the modern internet, this book imagines "cyberspace", a digital realm that people can plug into with neural laces. This book epitomizes the cyberpunk genre, influencing fiction such as The Matrix. In The Diamond Age, nanotechnology opens the door for new forms of engineering. Governments have collapsed after losing control of currency, and are replaced with cooperative city-states. This is one of the books we were assigned in Peter Thiel's Sovereignty course at Stanford Law. "Follows the adventures of Paul Atreides, the son of a betrayed duke given up for dead on a treacherous desert planet and adopted by its fierce, nomadic people, who help him unravel his most unexpected destiny." Set in the distant future, two feudal families are at war over the control of space. One family retreats to the desert planet Arrakis and must learn to survive in harsh desert conditions. This straddles the line between science fiction and fantasy, as the technology in the book is extrapolated so far out that it's hard to recognize as being from our lifetimes. This was one of the biggest sources of inspiration for Star Wars. It also has some good lines about growing up in the desert. If you're not familiar with startups, the amount of resources to learn about them can be overwhelming. The Internet can make it hard to navigate new subjects because the useful stuff is usually scattered across various blogs, videos, and articles, so I like to turn to books. A single book can't capture everything that goes into building a new company, but I've found a few books that serve as a solid starting point. In his autobiography, Nike founder, Phil Knight, recounts the challenges faced in the creation of what is now the largest apparel company in the US. The story given by Knight is a prototypical founder story. He openly describes the euphoria, anxiety, pride, and remorse that he experienced in building one of business's biggest successes. Peter Thiel has earned the nickname "The Godfather of Silicon Valley." A successful entrepreneur and investor, Thiel taught a couple of courses on startups and innovation at Stanford. One of his students published notes on his blog, and he and Thiel later converted the notes into a book. Zero to One doesn't give technical explanations on how to start a company. Instead, it explores why new companies are created and what it means to truly innovate. Based on a decade of quantitative and qualitative research on startups, this book explores some of the important decisions a founder has to make about the structure of their startup, such as how to split equity with cofounders, whether to take on debt, and when to hire executives. While the book is more dense than other books on startup management, it does a great job of introducing concepts that might be pitfalls for first-time founders. It was recently the 15th Anniversary of the Halo series. It’s no secret that I’m a big fan of the games, but it’s been something of a dirty secret that I’m also a big fan of the mythos. To celebrate 15 years, I thought I'd write a bit on how the unlikeliest of books changed my outlook on our entire species. I've noticed that good people tend to have good friends. Many people chase the friendship of people who are rich and famous or entertaining and lavish and loud. But good people don’t seek the same thing. Good people simply enjoy good people. This has left this vague curiosity in my mind: Why do good people end up surrounded by other good people? I’ve written a lot about being fit lately, and one of my friends chidingly shared with me an article which discusses being "swole for no reason.” “Swole,” if you don’t know, is slang for being jacked, which is slang for being buff. The author, a writer, recounts his experience trying to get swole. After failing to achieve swoleness, the writer experiences "the delusion of getting out of shape as a form of martyrdom.” Writers don’t need to be swole. Wouldn’t it be silly for him to go out and get fit? How shameful it would be if he was swole for no reason. From the perspective of evolutionary history, there’s a whole host of reasons for being swole, or for at least exercising frequently; even if you’re one of the intellectual martyrs who doesn’t care about how looking fit because only the inner-mind is beautiful or whatever. We evolved to use our bodies, and our bodies evolved to require use. Without activity to challenge our physical structure, humans become susceptible to debilitating diseases. Some people find reminders of their death depressing, but thinking about death can actually make you happier. I first heard about this idea in Jane McGonigal’s book, Reality is Broken. Jane McGonigal designs and researches games, and in her 2011 bestseller, she explores the ways in which game mechanics positively influence human psychology. McGonigal proposes that we apply the structures and mechanics of games as solutions to problems in reality. One particular problem McGonigal discusses is depression. The World Health Organization calls depression “the leading cause of disability worldwide.” Being unhappy is a big issue, and thinking about death is one simple, although non-obvious, solution.